Known as G2E, the annual trade show of the American Gaming Association will be held Sept. 26-29 at the Sands Expo and Convention Center. More than 25,000 people are expected. Former NBA Commissioner David Stern will be the featured speaker at this year’s Global Gaming Expo, an event that’s undergoing a change of format since it started in 2001. This year’s show will have a different approach by focusing more on personal and professional development with motivational speakers, said Roger Gros, the publisher of G2E Preview who serves as a consultant for the expo. The AGA’s focus in 2016 has been on the legalization of sports betting, and Stern serving as a keynote speaker is a natural fit, Gros said. Stern has called for legalized sports betting. That echoes current NBA Commissioner Adam Silver, who has been one of the leading advocates among commissioners for legalized sports betting, which is only legal in Nevada for single-game wagering. New Jersey has failed in the courts to fight federal prohibitions against sports wagering, and Congress needs to approve changes in the law to permit it. Stern will talk with AGA President and CEO Geoff Freeman about the future of sports betting and its impact on major professional sports, as well as how the NBA’s expansion parallels the casino gaming industry. Stern brought the NBA All-Star Game to Las Vegas. “It will be interesting to hear what (Stern) has to say and whether that affects the debate one way or another,” Gros said. “We’re starting to convince the legislators that it’s a good idea, that there’s a lot of money being made by illegal sports betting that’s going down the wrong tube here. There’s a lot of people (who) would like to see that money (go) to legal jurisdictions and legal companies that have spent years developing methods to legally bet on sports. The NHL has approved an expansion franchise for Las Vegas to start in 2017, and the current push to build a stadium in Las Vegas and bring the Oakland Raiders here not only would legitimize Las Vegas as a major city but also legitimize sports gaming, Gros said. One of the arguments for legal gaming was made by the AGA when it showed a survey that 80 percent of NFL stadiums had a casino within 100 miles, he said. It affects the integrity of the game when illegal money is bet on the game because you never know when the game is being fixed, Gros said. When legal companies track all of the bets, you know exactly when something is wrong. Stern also is expected to highlight how the NBA embraced corporate social responsibility, with initiatives such as NBA Cares as a long-term solution to enhance the business’ brand. Other speakers include Frances Townsend, former Homeland Security Advisor to President George W. Bush. The speech is geared toward encouraging attendees to have the courage to lead. 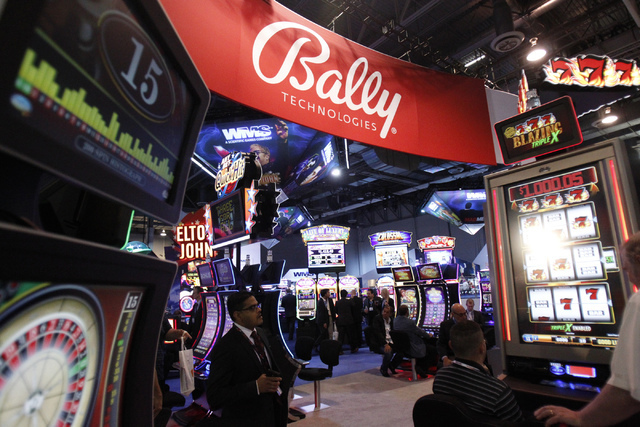 On the exhibitor side at G2E, one difference this year will be an innovation lab with cutting-edge products and services that will be demonstrated on the exhibit floor, Gros said. Skill games geared toward millennials are still a hot topic, but Gros said people are “sick of talking” about the group because it will be 10 years before they’re able to participate in casino gambling. There will be, however, two to three sessions on skill games, which are now called variable payback games. “You have to develop new and interesting ways to play, but it’s still unclear how that’s going to work,” Gros said. Conferences have to adapt to be successful, Gros said. People don’t attend for information because they can get that on the internet, Gros said. They attend for a learning experience, and this will mark the first year of a three-year plan to change the way G2E works. Gross said he expects a higher-than-normal turnout for the event. The conference comes during an encouraging time for gaming and tourism in Las Vegas. Las Vegas went through a long stretch of flat revenue and declining visitation, but that’s changed and people are returning, Gros said. They’re not gambling as much, but what’s great about Las Vegas is the nongaming amenities; Strip revenue is 30 percent gaming and 70 percent nongaming, he said.